← Do Public Sector Employees Volunteer More Than Private Sector Employees? 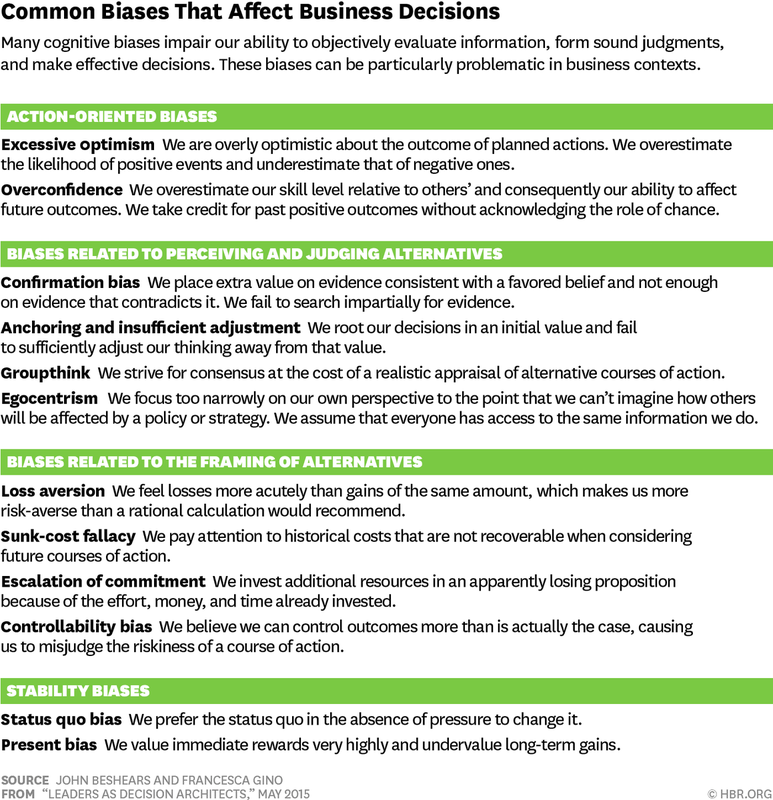 This entry was posted in Business, Psychology and tagged Bias, Biases, Cognitive bias, Confirmation Bias, Groupthink, Harvard Business Review, Optimism, Overconfidence Effect, Status Quo Bias, Sunk Cost Fallacy. Bookmark the permalink.